Great investment or an affordable starter home only minutes from Downtown Tulsa and major freeways. 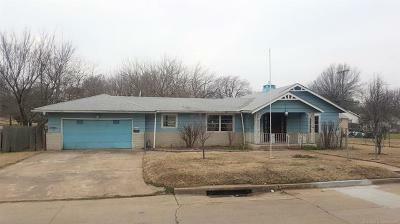 Located on a large lot with a 2 car attached garage. The home has 2 bedrooms and was in the process of a remodel for the additional 3rd bedroom and 2nd full bath - currently unfinished.